My husband has a new culinary trick. He hides a cube of mozzarella in the center of his meatballs. Of course, his meatballs were already spectacular with his delicious combination of ground beef, hot Italian sausage, Italian sausage, bread crumbs, eggs, fresh Italian parsley and spices, but this adds just another level of interest to the dish. 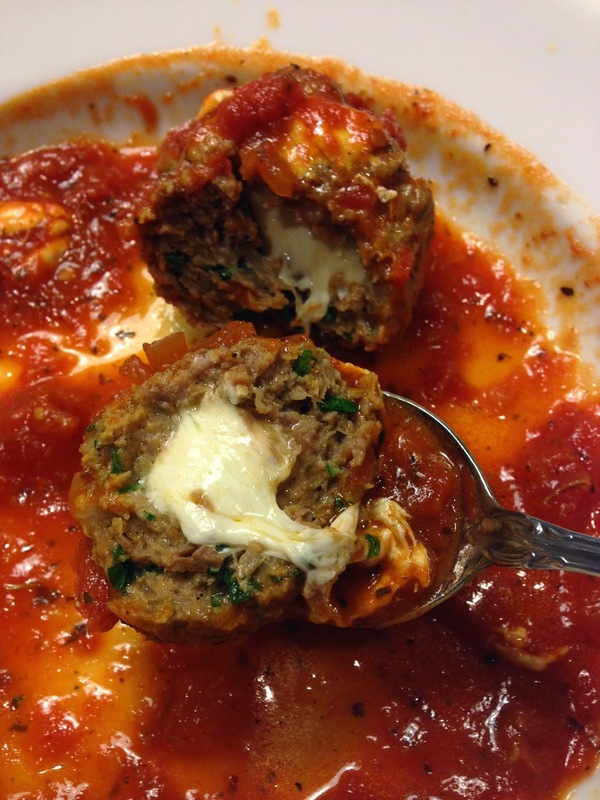 I highly recommend you starting hiding mozzarella in the center of your meatballs. Delicious! Wow! That is awesome. I want some now!